I’ve been having fun, well, cheap thrills actually, playing with the web radio capabilities of the NAD 50.2. It comes with the TuneIn app preloaded, and music by region, country, genre, and on occasion even sexual orientation can be selected. The thing that amazes me the most is the prevalence of English language pop music. In many countries where English is not the first language, announcers speak in their native tongue but play the likes of Beyoncé, Drake and Taylor Swift, among others. I’ve nothing against them per se, but the fact that they and other pop “stars” take up so much cultural bandwidth must surely mean that cultures in some parts of the world are likely degraded by this onslaught. Greenland, of all places, has three stations, and one of them plays English language classic rock. I don’t quite know what to make of the ubiquity of North American musical culture. On the other hand, a web station based in Russia plays only classical pipe organ music. I can only take either of these extremes in small doses. I also find intriguing, and quite refreshing, the web-only stations that play jazz, soul, blues, folk, bluegrass, and other authentic music that can’t be heard on terrestrial radio. Am I the last person to be astonished by the niche nature of the internet? But I’m getting ahead of myself. “Where words fail, music speaks.” This, written by Hans Christian Anderson made me think that audio writers are unique among the written arts. We must perform the opposite and turn music, or more precisely, the effect of music into words. Small comfort when struggling to describe the musical effects of digital components. The old cliché about some reviews writing themselves is none the less true. The only difficultly I encountered writing the review of the Spendor D7 was not letting it run on to 5,000 words. A knock-out piece of gear challenges a writer to be concise. I think the best I can do is describe the process involved setting up and using this player, and in part two, the Lumin D1 player. My Cambridge Azur 840C, though a high value CD player in its day, was getting long in the tooth. It would often groan when loading a CD, as if the motor operating the drawer didn’t know the drawer was closed. Opening or closing the drawer two or three times usually resulted in a successful disc load. The hand-writing was on the wall: the 840C’s days were numbered. A former work colleague warned about the pit-falls and frustrations of having music reside on a general-purpose computer. He was an early adopter of file-based playback, but judging from the irritations and vexations he described, it was something I wanted to avoid at all costs. This is the same fellow who had a cat that liked to sleep on his nice warm Mark Levinson power amp. But that ended when he (the cat) threw-up into the Levinson causing irreparable damage. To the Levinson, not the cat. A CD drive in, or connected to, a computer can rip CD’s. There are even free programs like Exact Audio Copy that will facilitate this. The problem is, how does one organize these files, and perhaps some downloads and/or LP rips into a coherent and easily accessible form. To say nothing of optimizing their delivery to a D to A converter. If one has a large CD library it can be drudgery ripping them on a computer, then organizing them for hard drive storage and playback. The NAD 50.2 is described as a “Digital Music Player”. It is in essence a computer, albeit a one-trick-pony computer that rips, stores and outputs music as a digital stream. The 50.2 is superior to a general-purpose computer in that it’s optimized to do that one trick very well. The problem with using a general-purpose computer for music playback is that there are a lot of other processes going on in the background, potentially noisy in the electrical sense, that can degrade the music signal. The 50.2 does not contain a digital to analogue converter. The choice of converter is left to the consumer. Before I get to the setup I must describe the process by which the NAD was obtained. I try wherever possible to patronise a local dealer. I found the closest on the NAD website, but when I visited, though they did have a few of the NAD Master Series components, they said they were renovating soon and wouldn’t be ordering a 50.2 until work on their premises was complete. I wasn’t in a hurry, so left my contact information. Several months later I still hadn’t heard from them so on to the next closest dealer. This one handles many product lines, NAD being one of them. I was offered other players but none of them had the feature set the 50.2 does. I’m not a believer in the cult of Apple, (“we were trying to save you battery power, not slow your phone, honest”) but purchased an iPad with which to control the 50.2. The iPad won out because I just couldn’t be bothered with one more device in the house that would need constant antivirus attention. I dropped the iPad and a few CD’s off at dealer number 2 when I placed the order for the 50.2, figuring they could install the app on the iPad, rip a few CD’s and show me how it all works. Upon returning a week or so later to pick up the NAD, not only had they lost my CD’s and iPad, they hadn’t installed the app on it before losing it. I guess it was just too much work for them to temporarily connect my iPad to their network. I sighed my long-suffering reviewer’s sigh. They did find my iPad and CD’s a few days later, the story was they had fallen behind some other equipment. They shipped the wayward items to me by courier with next day delivery. I should relate to you the reasons why the 50.2 was my choice of digital music player. Firstly, it has a built-in CD drive. This makes ripping CD’s a no-brainer exercise. Just feed it a disc and once it’s ripped, feed it another one. Secondly, NAD is a Canadian company of long-standing, though the 50.2 is made in China. Thirdly, though this is a reason I have with the benefit of hindsight, NAD’s customer support is world class. More on this later. So, with 50.2 and my iPad together at last, the process of making them talk to each other commenced. I wimped out and got Miss K, my niece and product model, and aa tec support person to do the deed. She immediately dismissed my internet connection as being too slow, and connected my iPad to her iPhone. The 50.2 will work wirelessly with your home network. My home network, such as it is, worked OK (not the fault of the NAD), but response to commands from the iPad did seem faster when I used a wired connection between the NAD and my modem. It can be a bit of a challenge, invisibly rewiring a 20th century home with ethernet cables of the 21st century. But that’s the sort of challenge an analogue brain like mine can rise to. I also installed the BluOS app, NAD’s app for their players, on my garden variety HP laptop. So off I went ripping CD’s and playing files. The 50.2 was connected to the DAC section of my Cambridge CD player. Music played much as before. I can’t say there was a discernible difference between sourcing digital files from the NAD versus playing a disc straight from the CD player. When inserting a disc into the NAD you are given the option of ripping it or playing it. There is the option in the setup menu of saving a rip as .wav file or a FLAC file. My buddy with the horking cat and others say that FLAC is the way to go for better meta data (album art etc.). It was interesting reviewing one’s music library, one CD at a time, and realizing there were discs I hadn’t listened to in a long time, if ever. As with any new device, there is a learning curve. I noticed there were double rips of some albums in that there were duplicates of each track. At this point I solicited NAD’s customer support and this is when the I realized I was dealing with a first-class outfit. A few emails were exchanged, then they offered to do what amounted to a remote training session over the phone, using collaboration software. They essentially took over my computer remotely and set it up to help me organize my music files. I like to call this the “Remote Intervention” process. During this process Jon at NAD, I hope they pay him very well, was patient with what I am sure were dumb questions. As it turned out, with some CD’s the tracks had been ripped twice, once as a .wav and once as a FLAC. Jon also set up a shortcut on my PC so I could easily edit these files again in the future. Here’s an important tip. Once the shortcut is set up, files can be edited. However, a strict procedure must be followed or your shortcut won’t work in subsequent sessions. 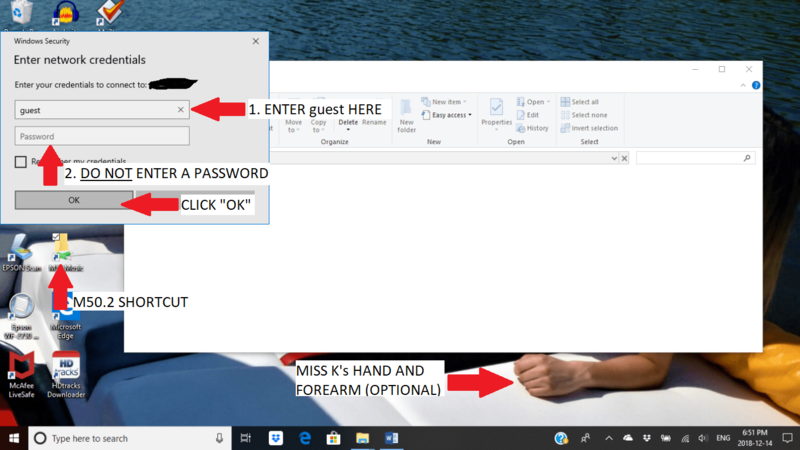 As shown in the screen shot below, enter “guest” as your user name but do not enter a password, just click OK. This subtlety escaped me the first time around and required a second “Remote Intervention” from Jon to sort out this, or more accurately, me out. Thanks again Jon. To give you an idea of where I am on the evolutionary scale, computer wise, I learned how to use computer aided design (CAD) software before it operated in Windows. To perform some functions, sometimes required going through many menus so quickly, that one learned typed-in shortcut commands and committed them to memory. My computer evolution is stuck in about 1992. This is by way of explaining that I’m used to doing things the hard way. I’m also of the analogue generation, and I don’t mean digital music versus LP records or anything to do with computers. Let me give you an example: If a nut is too tight on a bolt, an analogue guy will get a bigger wrench. If that doesn’t work, he’ll put a piece of pipe on the end of the wrench to get more leverage. If that fails to budge the nut, he’ll apply some heat with a torch as well. It that fails, he’ll use a cutting torch to cut the nut off then start with a new nut and bolt. So, when Mr. Analogue wants to be a responsible audiophile and back-up his digital collection, he follows the instructions, buys a 4TB, externally-powered hard drive (as per instructions), and plugs it into his NAD player. The player responds with, “USB drive inserted”, so far, so good. But when analogue man, following the instructions to the letter, goes to the menu and tries to back up his files and gets a “USB drive not connected” all his knowledge of wrenches, pipes and torches does him no good at all. “Hello Jon”, aka digital man at NAD, “We have a problem.” A third “Remote Intervention” was scheduled. On the third “Intervention” Jon tells me that there is, in essence, a glitch in the BluOS app (paraphrasing). But not to worry, a backup can still be made and it will potentially be a better one. To make a copy of the music stored on the NAD’s drives, an old tried and true way is employed. Using Windows Explorer, you simply highlight the files on the NAD’s drive, click copy and then paste them on to the backup drive connected to your laptop or desktop computer. Easy. Even an old digital dog like me can understand it. It just might take hours to do if you have a sub-optimal network like mine, where the connection to my laptop is via Wi-Fi and a lot of files were being copied. Next time I’ll try it with the laptop connected to my network with an ethernet cable. The advantage to making a backup this way is that the music files are then in a standard format. They are now transportable and can be played on other devices. I can verify this as these files played on both Lumin and FiiO players. In the same way, downloads and other rips can be copied from your computer and pasted to the NAD’s drives. Once copied, or when files are altered on the NAD’s drives, then the Index (like a table of contents) needs to be updated. The user simply goes to the main menu, then Settings, Music library, and Rebuild Index. This will take a few minutes depending on the number of files on the drives. The BluOS app catalogues and displays music files based on metadata tags, not file names. The old digital dog is shut down here. Files can’t just be renamed. The metadata tags must be edited. This can be done using programs like Mp3tag. Jon, during intervention number 3, set up a shortcut to this on my desktop, but I haven’t had the nerve to mess with it yet. One very handy thing is the USB port near the bottom right corner of the front panel. A thumb or other USB drive can be inserted and files played directly from it. The only downside is the feet on the 50.2 are a bit slippery, so one must hold onto the player while inserting or removing the drive. As far as the BluOS app goes, I haven’t had enough experience with other apps, so I can’t really comment much. I do however like the size of the icons and tabs the BluOS app displays on my iPad. Stubby, gnarled fingers like mine have an easier time of it than they do with some other apps that have smaller buttons. Buddy with the amp-destroying cat is going to Roon to organize his music files. This seems to be a popular choice with digiphiles, but I refuse to pay hundreds of dollars for a licence. Just like I won’t pay multiple hundreds let alone thousands of dollars for interconnects and speaker cables. Maybe it’s the miser in me, but I find obtuse search functions interesting. They often throw up things you weren’t looking for, but are interesting none-the-less. Much like the way paper catalogues can often lead to interesting discoveries that search engines often miss. There are other subtleties to the BluOS app that I haven’t detailed, or haven’t yet discovered. The one thing that would be nice is if they had YouTube videos detailing common BluOS features and setup subtleties. But I can understand how producing these could be a large undertaking for an equipment manufacturer. Not only would they need to be done in English, but any other language that they market their products in. This is, I guess, the era of networking where information is shared. It also seems to me to be the era of “Screw around with it ‘til you figure out how it works.” Maybe it’s not that much different than the nut that won’t budge. It’s just that the tools are different. So, would I buy a NAD 50.2 again? Yes absolutely. It’s a good product and their customer support is better than first rate. No product is perfect, but the transition to file-based playback was much easier than I expected. The Cambridge CD player/DAC has been pensioned off. It has been forced into retirement by a PS Audio DirectStream DAC. Even new from the box and not yet warmed up, it was a “Holy Schiit” moment when the first file hit its DAC chips. A new DAC wasn’t due until 2019, but the DirectStream DAC was on sale this autumn for the same price as the DirectStream Junior DAC, so I couldn’t wait. I will, however, be waiting with less than anxious anticipation for my Visa card statement due any day. The suggested Canadian retail price of a NAD 50.2 is about $5,500. Try to patronise your local dealer, unless they can’t be bothered to take you seriously. Shop around though, you might save enough to buy a decent digital interconnect. In Part 2, I’ll describe the Lumin D1 player and its setup. Experience gained with the NAD helped. I was able to get it going, on my own, without manufacturer support or help from the lovely Miss K. I’ll also share a “How To” guide I prepared, to help others get the TuneIn app going on a Lumin. That’s all good-and-well. Except you choose a $5,500. Digital Music Player ? And, a ($1-$2K?) DAC while failing to appreciate/acknowledge premium cabling ? It appears you have not had the good fortune of listening to a “multi-hundred/thousand dollar” IC, Speaker Wire, or Digital cable ? For if you had (auditioned a respected cable), you’d soon discover, and say “Damn, that’s incredible” (i.e. sound/price) -and begrudgingly fork over the dough, as all of us passionate audiophiles ultimately realize; after hearing/verifying once, twice, thrice etc. superior cabling.). No one wishes, or even believes, such profound SQ distinctions are even possible by mere cable selection. But, it is so. Nor would anyone believe they’d pay “that much” -until it’s ‘experienced’, that is. Anyway, for those that wish to enjoy (digital) hi-fi on a budget, may I suggest (and recommend) a SBC (Single Board Computer) such as a Raspberry ‘Pi 2/3’, or Odroid C2+ (by Hardkernel); approximately $50.(CA$). You’ll need a few extra items/peripherals that will add about another $30.-$40. (case, power supply, microSD card). For OS/Music Player software, several exist; ‘Rune Audio’ being quite nice: Price = free. Rune Audio works with MPD (Music Player Daemon) offering up (thousands of) Internet Radio stations. Sounds great ! Higher-end hi-fi can be a wonderful thing; providing nuance, insight and truly impressive sound. Yet, without cabling of commensurate ‘performance’, SQ will be seriously jeopardized/severely impaired. So much so in fact, that such expensive hi-fi (such as the NAD 50.2) will NEVER realize its full potential without premium cabling (and AC power) considerations. Thank you for taking the time to comment Mr. Jasz. You are most likely correct in that I might be missing something because I don’t or won’t pay for expensive cables. That’s not to say I recommend lamp cord from the hardware for speakers or $10 a pair interconnects from one of the mass market electronics retailers. In my main system I use Cardas interconnects and Kimber speaker cables. Not their top of the line mind you, but a few rungs up the ladder from their entry level offerings. The AES/EBU cable from the NAD to my DAC is a van den Hul. At some point I might spring for one of the Audioquest digital cables. 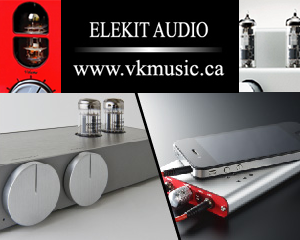 My Audio Research Corp amplification components use Neutrik XLR jacks that sell for about $10 each. Even at the price of ARC gear they are not going to use $100 a piece XLRs on a line stage that has 20 of them. Would I gain significant improvement using an interconnect with a bespoke plug and jack joined super-wire compared to my ~$250 a pair interconnects? I don’t honestly know. No one has ever offered to lend me a pair. With regards to speaker cables I like to have them terminated with spade lugs. I suspect a lower resistance connection can be made with them than can be with banana plugs because clamping pressure can be applied on a spade lug that might not be on a banana. I also suspect the contact area is or can be larger with a spade. I use one of the older generation PS Audio AC regenerators for power and it is fed from its own dedicated line. Power cords on my devices are a step up from the throw-aways that usually come with new gear. When it comes to musical enjoyment my contention is that one will get more ultimate satisfaction out of $1,000 worth of LPs or downloads than $1,000 worth of wire. I could almost be enticed by a Raspberry Pi but I lack the knowledge, temperament and patience required to make use of one. In part 2 of my digital player review I set up an entire system for my wife that cost less than a few audiophiles might pay for wires and cables. Hi Steve: Understood. Thanks for the reply. When one assumes the role of ‘reviewer’, they must know/have access to/ evaluated and compared hundreds of cables (and equipment) -as I (and other passionate audiophiles) have. Such experience enhances credibility. Again, assuming the role of ‘reviewer’, we must go out and borrow/buy/trade (cabling, for example) in order to offer insight to readers. Without ‘experiencing’ spectacular cabling (or equipment), we may be left to suggest it’s an unnecessary expense. That is so wrong. And easily demonstrable. You mention some audiophile brands (such as ARC) that you own, but fail to provide a model number/vintage ? I can’t imagine anyone purchasing current model gear such as Audio Research, Levinson, SimAudio, etc. glossing over connecting cable -that can and does make/break sound quality. Anyone with higher-end gear should seriously take the time to audition some excellent cabling in the $500-$2K range (current, retail pricing). Of course discounts, end-of-run, and used cables/gear are routinely available on the used market. Here, the price of ‘admission’ drops considerably. I for one wish there were some truly spectacular cables in the $200. range. There isn’t. Once you sample/listen to great (often times pure silver) cables from Kimber SELECT, Acoustic Zen, Audioquest, Stealth, Wireworld?, etc. (typically in the $1-$2K/m range), you’ll quickly realize how “defective” lesser cables actually are. It literally sounds ‘broken’ in comparison. But we must experience this. Only then, can we /should we make remarks about cables, or any other high-priced component. But be careful to audition (superior cables) -if not ready to purchase. The ‘Let down’ of going back is rather unflattering, bleak really. With that said, I’m personally always on the ‘Look-Out’ for that amazing ‘sanely priced’ IC (interconnect); DH Labs recently released their Sonic ‘Pulse’ line; silver-plated Long-Grain (solid-core) copper, Teflon insulation/dielectric and prices starting at $150./m (CA$) pair ! I’ve yet to get my ears on a set. By the way, excellent choice on an AC power re-generator; fantastic for source/low-power gear -particularly digital components. To my mind Steve, such dialogue (as we have here) is simply in attempt to offer up differing perspectives; it’s a learning curve for all of us. It’s in perpetual motion, every single moment. It should never end. No comments on the sound of the m50.2. Thank you for your question Michael. The intent of the review was to provide a user experience perspective. This reviewer being a digital klutz. Stereophile’s estimable Mr. Atkinson in his review of the 50.2, available on their site, offered scant comment about the sound. Maybe the language we use to describe the sound of digital components hasn’t evolved sufficiently. We might say that a digital source component doesn’t sound digital i.e. the harshness we associate with early CDs and CD players, if you are as old as I and can remember their introduction. An analogue source component might be described as having an airy midrange or deep nuanced bass but digital sources are often described by what they are not. I suspected that the 50.2 as used in my system was being held back by the DAC in my Cambridge CD player. This was confirmed within about 5 seconds of connecting a PS Audio DirectStream DAC in place of the Cambridge. 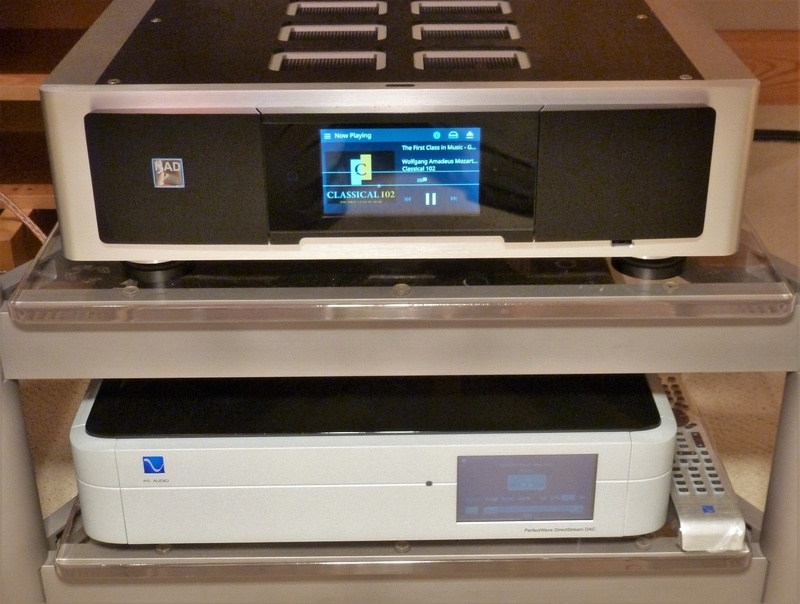 The Cambridge 840C I used, like its replacement the 851C, has digital inputs to facilitate the use of its DAC by other digital sources. I can tell you what the NAD/PS Audio is not. It’s not un-dynamic, it’s not harsh, it’s not slow sounding and it’s not fatiguing. I’m still coming to terms with the changes the NAD and PSA have brought to my system but so far I don’t detect any negatives. CD rips sound what they sound like. Anywhere from nasty to quite decent depending on the CD. High res downloads can sound very lovely, again depending on the quality of the initial production. Some Miles Davis, John Coltrane and Simon and Garfunkel from nearly half a century ago or more are stunning. Even 24/192 LP rips I’ve done myself are very nice. Watch this space, I’ll talk about sound quality a bit more in Part 2 of this survey of digital music players. The ‘Test” is on: Steve, you recently mentioned $1K of ‘music’ purchases would be preferred/better than/better spent than on cables. I disagreed. I’ll let you/readers know my honest thoughts; if cables turn out to be ‘crappy’ (a bad investment), I’ll reveal as much. Or …. ? Ummm, it’s me; cable/music challenge guy ! Soooo, it turned out that a recent $500 (AES/EBU Digital, 0.75m) and same length $360. (CA$) USB cable didn’t quite “make the grade” -the AES/EBU rather easily being beaten by its 1/5 price little brother ! Regarding the USB cable, jury remains in deliberation. In all fairness, the 0.75m (2′-6″) lengths, and approximately 120 hours may be a bit premature, but at this point, I’d have to claim YES -go out and purchase $1K worth of music (as Steve Graham stated) -and not on audio cables (as yours truly argued) ! Hey Steve: Well, as the 150-hour (break-in time) approached, significant changes occurred; namely immensely improved clarity/focus, dimensionality. I’m confident this will continue over the next 100-hours. As it stands now, this $400. CA$ USB cable is clearly considerably better than what it replaced. Not only would a premium/authentic high-performance cable be a MUCH BETTER investment than $1K of music, it will instantly transform what you/we thought we knew of our existing multi-thousand prized music collection. It’s truly an extremely enjoyable, satisfying experience/listen. I believe a 1.5m USB cable would be even better than the 0.75m I’m reporting. But, I’ve taken it up a notch -a $900. (CA$) 1.5M USB cable is on its way. That should make the “$1K challenge” more authentic. The ‘other’ cable I have/had, was a 0.75m AES/EBU, that I was unable/ unwilling to evaluate further due, primarily cuz it’s too short -1.0m/1.5m would be best -for my application. The USB cable I speak of was connected Friday, January 4 (3:30 PM), 2019. It was removed/sat idol for maybe 24-40 hours within that time. Doing the math, 220 hrs (-) 30 yields 190 hours of operational time on the cables as we speak. The new cable is a pure silver design, and although aided by a dielectric/ insulation bias system purported to make break-in unnecessary (not my experience with the model just below using the same ‘technology’, but of a silver-plated conductor construction). At the very least (I suspect), another 200 + hours will be required for ‘settling’. The new one will also be 1.5m in length. There’s a reason these things are made/available -and people buy it. And a VERY good reason. Once we experience something special, it’s firmly locked into our conscience, and there is no way of going back (turning back), once experienced. And, an ‘experience’ it is; casting an extremely dimensional sound field of superb clarity, tonality (natural tone/timbre), definition, speed-dynamics- articulation and a mesmerizing, memorable, holographic illusion that is sure to delight. C’mon, where’s the dialogue ? Speaking for myself, I’ve been very busy with other endeavors. The site doesn’t notify me of new comments and I’ve been away for a few days. Thanks for sharing your findings. Curious – why does a longer digital cable work better than a shorter one? With respect to your (digital cable length) question; that’s a good question ! Why do you think it would be better ? Or, is shorter better. Or, a specific length the best ? What have your travels/experiences uncovered ? Noam, I think I might have an answer/explanation to your question. I believe the mechanism of why a longer digital cable can sometimes sound better is due to a reflections, for lack of a better word, between the sending and receiving components. These “reflections” due to impedance mismatching or whatever else take longer with a longer cable and that might introduce less jitter into the data stream. Jitter, of course, is timing uncertainty. Higher jitter usually results in less natural sound – grating highs, soggy bass etc. The closest scenario I can think of to demonstrate this is to take a short length of rope, tie it to a sturdy tree or post and shake one end vigorously. Pretty quickly the reflected wave will start shaking your hand and “distort” your ability to keep providing the same input. Use a 5 to 10 times longer length of rope and the reflected wave isn’t as “disturbing” to the original input from your hand. Yes, this is a pretty hokey demonstration but I think you get the gist of what I’m trying to describe. About the only way to determine if this a factor is to try cables that are identical except for length. Even then the result might not hold true if you change source or destination digital components. Hi Steve: I like your analogy, and it may stand to reason when the cable length of 5-10X longer applies; hardly the case when discussing typical 0.75m/ 1.5/2.0m -or even 3m digital cable lengths. Transmission Theory/Characteristic Impedance appears to be a concern with hundreds of feet of cable -but by no means does that negate ‘Characteristic Impedance’ targets for cable of any length. I’m surprised that Noam/Steve hadn’t thrown in their thoughts on the topic. I have a more practical interpretation that awaits Noam/Steve’s input first. Steve/Noam: ( OK then, until next time,) … has arrived! A bit of a temporary, unexpected cyr’od the other night concerning the USB cable. But, remarkably, the revelation is a bit more ‘practical’. The $360./0.75m (CA$) USB cable has a ‘DBS’ system on board; long story short, the positioning/orientation/and angle of the device has a profound impact on SQ. The ‘gist’ of it: I am enjoying and reveling in discovering not only greatly enhanced clarity and dynamics with music I’ve “heard” innumerable times, but also nuance, and counter-rhythms, instrument detail completely missing in previous set-up’s/cabling ! It really is (as the well-worn saying goes): “Discovering music you thought you knew oh-so-well”, with a brilliant new dimensionality, figuratively and literally -as the aural image stretches back, up and to the sides -when program material calls for it. Soooo, with regards to your $1K cable/vs. music assertion Steve, my near month-long experience greatly favors the better cable argument -by a incredibly significant margin. Indeed, $1K may buy you a wack of new music, but the same on cables will reveal an entire lifetime of music collection from your existing music collection. And this, my friends, from a (by no means crazy expensive) 0.75m USB cable! I really look forward to the twice as expensive top-line USB cable -and report my findings as honestly as just written (in the several up/down replies I left thus far). I suspect, it will be even more revelatory. But, once again, if not, I will report as honestly felt and interpreted. As always, everyone should do what works for them, and be happy with it. Good morning Noam: Thanks for the reply. However, my reply is a follow-up that concerns a statement that Steve (Graham?) made previosly: Suggesting it wiser/smarter to invest $1K in music -as opposed to cable. I diasagreed, presenting my ‘argument’ in detail, no less. As Icontinue to listen to music (heard hundreds/thousands of times the past 40 +years) is truly a revelatory experience with superior cabling; the sheer tonal realsim (layering, dimensionality. speed, clarity, nuance and texture) that is being revealed as I type -is simply outstanding. And quite frankly, surprising -the degree improvement from such a modest outlay. I’m rediscovering thousands-of-dollars of my existing music collection that is providing a remarkable new/exciting pespective to my entire music collection -and the ($1K) music to follow. And, here’s the thing; it’s a $360/.0.75m CA$ retail price USB cable that is offering such exquisite ‘insight’. I’ll bet the soon-to-arrive $900./1.5m cable will offer up further refinement.